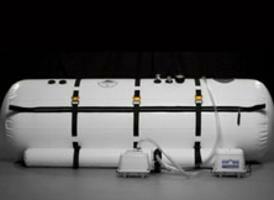 For several years, I have been testing and comparing hyperbaric chambers independently to find the best ones that will hold up and maintain their pressures, (accurate pressure) required to rebuild and grow the body's aerobic bacteria so the body can become oxygenated and stay that way with this dormant bacteria that will line the body as it would be in nature. I made this site for myself. I did not make this site to market or try to steer people to a chamber like a fake review site to try to push a brand to see how much money I can make. I only trust those dealers who have done research like me and who know the facts about each chamber and not sales people. I swear that almost every customer that calls me who has talked to a dealer gives me a different name every time. (I now make it mandatory that I will not refer anyone to any dealer unless they have been researching chambers for at least 5 years and have somewhat of a background in alternative health). Many people are buying from kids just getting out of college with a marketing degree or some business degree that make them good at sales. Screw that. Do you really think they will be there for you after the sale? I don't need a salesperson just reiterating what they read on the specs on some sheet or when you ask them a question they are looking at the computer and just reading off what they see. Again, I will not work with these types of people. The issues with cheap chambers is that don't seem to be as regulated in the long run but only at first when they are new. As a matter of fact, almost all the chambers work great when they are just bought. If someone is looking to use the chamber residentially and not going to wear it out in a clinical setting, a residential grade chamber can work. I have done comprehensive field tests and reviews of the best chambers as well as the cheapest ones. I urge people to get clear, informative, concise explanations on what makes a chamber very expensive and what makes one a cheaper residential chamber. If you only need a chamber for temporary usage, then sometimes a cheaper chamber is a better option because you only are going to keep it for a few months until the problem gets better. If you only need the chamber to quickly grow the aerobic bacteria in your gut to last you a lifetime, it might be better to rent a chamber or get a used one that you can sell back when you are done. (Contact me if you want to get connected with people that have used chambers that are under warranty to sell). The problem that makes these chambers get more expensive is that when people want to sell a chamber they have to ship it back to the store and then that store has to ship it back to you. I always have a list of people who want to sell their chamber directly. What many of the dealers do that I have talked to actually don't stock all of the used chambers they advertise. What they do is advertise it, and if someone wants it they have the customer who bought from them ship it directly to the customer. Know that some warranties are not transferrable so know if the dealer will service it if there is a problem. The comprehensive field tests and comparative reviews of the best in chambers will help guide you. Get informative, clear, concise explanations of what separates the pressure-worthy chambers from the rest. I accept no manufacturers advertising to prevent being biased and subjective. Play no favorites and pull no punches. Read at length the good, the bad, and the so-so about each model so you can pick the model that best fit your needs and your budget. Residential chamber seem to give less maintenance problems than the budget chambers for people that use them for chronic conditions. I personally think it is a waste of money for someone to be talked into a residential chamber when it is simply overkill when the condition being treated is something that can be fixed in less than 6 months. 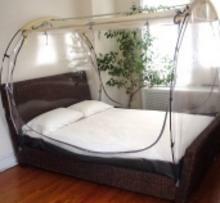 If using the chamber for health management and overall general wellness, a residential chamber might be what you need. Another thing to keep in mind is that if you ever want to upgrade, some chambers have better resale value than others. Usually the companies that have been around the longest and are usually found in the health expos and alternative wellness conventions are the ones that have this resale value. The budget chambers are so hard to sell once they are used that it is almost impossible to get over half of what you paid. These are usually found on Craigslist and often are refurbished or have something fishy about them. I hear more complaints about chambers that people bought on Craigslist than any other place. Just a heads up if you are buying a used one. If you are going to buy a residential chamber that is not brand new I usually get the first emails when one is available from distributors whom I trust that are also authorized dealers that are on good terms with the manufacturers. Take my hyperbaric quiz and I will recommend a chamber type based on your answers. About the Shallow Dive and Dive hyperbaric chamber that I have researched, this is the one I have had the most positive feedback from out of all the chambers under 10,000 dollars. In terms of the motor of the Summit to sea chamber, I tested their motor at 38 decibels. Just so you know, 40 decibels is like a quiet conversation while 70 is factory noise where you have to yell over people. There have been chambers I have found that were as high as 65 decibels. Usually these were the commercial ones. I went and contacted the companies that make the motors for most of the chamber companies because I couldn't get the full story from dealers and companies. The two main sites I found were http://www.hiblow-usa.com/?module=Page&class=Pumps&pumpTypeID=2 hp-80 60 Hz is the motor summit to sea uses. The other company was http://www.gastmfg.com/diaphram.html. I finally found out why their chambers were so quiet. The size 80 motors they use are quiet on their own. The reason for using two motors in serial is to take strain off the motor but this has to due with greater efficiency, less heat and noise with 2 motors in serial than a 120 or even 200 motor. The numbers are the size of the motor. The bigger the motor the more heat in the longer use of it in a session in the chamber (When a chamber is closing in on 4psi there is more back pressure on the motor, slowing a 120 or 200 motor and producing more heat than two 80s in serial). The cheapest residential one, the shallow dive, uses just one 80, the Dive uses 2 80s in serial, and the Grand dive 2 80s in serial, and Grand dive vertical uses two 80s in parallel. The way it was in terms of motors was the Dive and Grand Dive used to use 120s and 200s but 2 80s in serial builds the same pressure at the same if not greater rate than a 200 with less heat. The 120s and 200s would try to compensate for greater size of chamber to make all chambers pressurize close to the same rate. 2 80s in serial helps achieve this with less heat and noise than say a 120 or 200. Summed up, 2 80s in serial will be less noisy and make less heat than a 120 or 200 motor that were used in the older models. I tried to ask who made their motors so I could call other companies who used their motors in other applications and they wouldn't tell me. Like I said, I will find out one way or the other and I found them. I even found out wholesale costs on the motors in case I want to try to build my own chamber. About the gauges on the Shallow Dive, they were very accurate. They feel in the acceptable range. Most of the gauges are precise within about 5% but they must, by law, produce the specific pressure as cleared by the FDA. Basically, the gauges are just a reference of "at pressure and completely decompressed". I like the zippers on the Dive, their T zip style. They use plastic air tight zippers to keep the pressure along with a mechanical or structural type zipper on the outside too. The only thing I didn't like about their T zipper is that I have to always maintain it by lubricating the docks right on the end of the zippers more often as they tend to stick a little and don't completely slide shut otherwise. What is different about their zipper is that it doesn't have a bladder that compresses against it to make the seal where the zipper compresses against the bladder because of pressure. But, their is no maintenance on those mechanical zippers but creating a seal can sometimes be more difficult than using just an air tight zipper. I did like how their was more light in their chambers than most of the other residential chambers. I like ambient light unless it at night when I want to close my eyes and relax. Some people will close their eyes but some people will want to read and multitask while in there. The shallow dive is very light too.. only 28 pounds. I have had no complaints about this except from dealers who don't sell this. It is funny how people call me and tell me how it has helped them and then when they call dealers who don't sell it they get all the horror stories. It amazes me. It seems they are too concerned with seeing how expensive they can sell a chamber rather than sell a chamber that works. I don't need fancy bells and whistles. Why would I pay extra for a built in intercom sound system. Has anyone thought of a bringing in a cell phone while in the chamber? Give me a break. Many people get the remote so that they can turn off the motor and exit themselves. The dive might take a little longer to pressurize and the commercial ones work in quicker times but until you get it, you will realize that you and most other people will modify the compressor motor so that it actually pressurizes slower and take an extended time to pressurize because the slow pressurization will slowly allow the pressure difference in their head so that the ears won't keep popping. "Are you concerned about filtering the air?". I don't know how I got side tracked at first. I am all about breathing in clean air but having a filter in your chamber doesn't make any sense to me. They asked me if I cared about having a filter and of course I said yes. This at first made me weed out any chamber that didn't have a filter. All the chambers have compressor motors running constantly pumping air in and the valves releasing air at a constant 4psi circulating the air. The chamber filters itself because the air that comes in at your feet gets exhausted around your head with the valves. More bells and whistles that I can avoid. The Shallow Dive by Summit to Sea. This retails for 3995. This is one of the most affordable chamber I have found. "The reason it is so quiet is because they use two 80 motors that feed air into each other in serial reducing the strain and pressure on the other motor when working together." This is not accurate. The 80 motor they use is quiet on its own. The reason for using two motors in serial is to take strain off a motor but this has to due with greater efficiency, less heat and noise with 2 motors in serial than a 120 or even 200 motor. The numbers are the size of the motor. The bigger the motor the more heat in the longer use of it in a session in the chamber (When a chamber is closing in on 4psi there is more back pressure on the motor, slowing a 120/200 and producing more heat than 2 80s in serial). The shallow dive uses one 80, Dive uses 2 80s in serial, and Grand dive 2 80s in serial, and Grand dive vertical uses two 80s in parallel. The way it was in terms of motors was Dive/Grand Dive used to use 120s and 200s but 2 80s in serial builds the same pressure at the same if not greater rate than a 200 with less heat. The 120s and 200s would try to compensate for greater size of chamber to make all chambers pressurize close to the same rate. 2 80s in serial helps achieve this with less heat and noise than say a 120 or 200. Summed up, 2 80s in serial will be less noise and heat than a 120 or 200 motor that we used to use previously. If the chamber is going to be put in an office or a chiropractic clinic, a commercial chamber is a lithe more durable and thicker and just more beefier. A commercial chamber is going to hold up better in a clinic where the chamber is in use all day while a residential chamber might just be used once or twice a day. The zippers aren't being opened and closed all day. A chamber that is 2 years old in a persons home can be equivalent to 2 years of usage but a clinic that sees 6 patients a day in that chamber can have 12 years of use in 2 years compared to the chamber that is used once a day in someones home. Zippers will need to get replaced much more often in a commercial setting and sent in for leaks in the seams from time to time. Since I started this site, about half the people want a commercial chamber if using it long term, even residential owners who want a commercial chamber. They usually finance it and get it for 200 something a month and pay it off over years. There is interest but they don't have to put a big deposit down up front. The Summit to sea is the chamber people get when they only can spend around 5000. The Summit to sea Shallow dive is my most popular chamber of all just because its the lowest price chamber that I know of that is FDA cleared. Know that even though the chamber is 5000 dollars compared to ones that are near 10,000 dollars from different brands, as long as it has been FDA cleared is what I look for. There are cheap Chinese knockoffs around 3600 for a chamber that probably haven't gone though any inflation or bubble testes and are just manufactured in China and put in a box to ship to the states. They can work but if not lucky there are lots of patching and zipper problems that I hear about. People get excited when they come across a 3000 dollar chamber until they hear the news from someone who knows about that chamber. If feel safer in a used chamber that someone was selling on Craigslist that hasn't been factory certified and sent to the manufacture to get their OK on it than get in a 3000 dollar Chinese chamber on a daily basis wondering if something is gonna happen. If someone can afford a commercial chamber or can finance it, that is most preferred by most people but the Summit to Sea is good for residential use in a home. The detail of the craftsmanship is not like a commercial chamber but as long as both are FDA approved and inspected and certified for sale, its really up to the person if they want the extra craftsmanship in it. It is just more durable, that is the best way to probably say it. Not everyone wants the best of the best and the Summit to sea is what people usually choose. Not everyone wants to pay the difference in price for a commercial grade chamber.